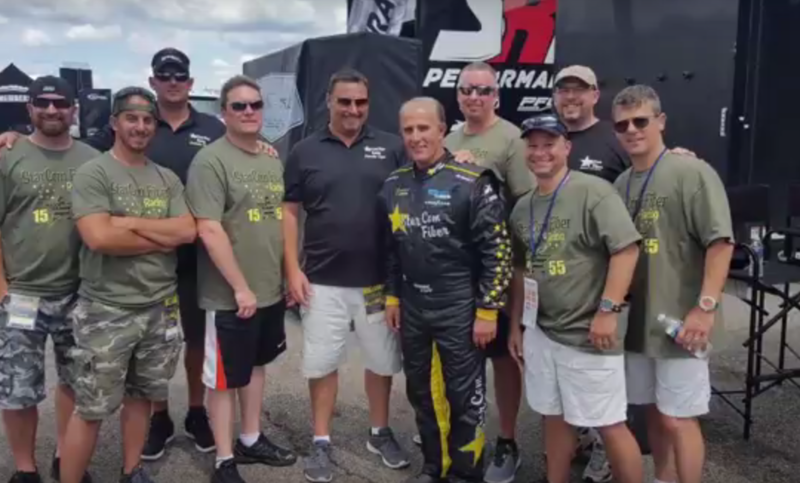 Mooresville, NC (Friday, August 4, 2017) – Premium Motorsports’ driver Derrike Cope is looking forward to the fast pace of Michigan International Speedway and so is his returning primary partner, StarCom Fiber, LLC. Their partnership launched this year at Pocono Raceway in June and they are anxious to continue it at the fastest track on the NASCAR circuit in the Irish Hills for the Monster Energy NASCAR Cup Series, ‘Pure Michigan 400’! “I’ve been waiting for Michigan all year long. I’m excited about the opportunity that StarCom Fiber has provided to us. It’s an outstanding race track, always has been one of my favorites and it is exceptionally fast which I love about it! I’m looking forward to having all the StarCom Fiber folks there to showcase their brand and to have an opportunity to give the Premium Motorsports #15 a solid effort,” Cope comments. “If you like speed this is the place to be” said Michael Kohler CEO of StarCom Fiber. “Just like in the Telecommunications industry speed is key and we are ready for a fun filled weekend of fast pace racing”. StarCom Fiber, a telecommunications company based in New Jersey, services all of the Tri-State area and beyond. StarCom Fiber specializes in cable placement and network development as well as complete fiber optic splicing and testing. StarCom has a full-service engineering and CAD division and a management team whose dedication to customer satisfaction leads the industry. Race fans can learn more about StarCom Fiber by visiting www.StarComFiber.com for our company history and services offered as well as employment opportunities. Also, you can engage with StarCom on Facebook at www.facebook.com/StarComFiberLLC, Instagram: @StarComFiber, and Twitter: @starcomfiber.